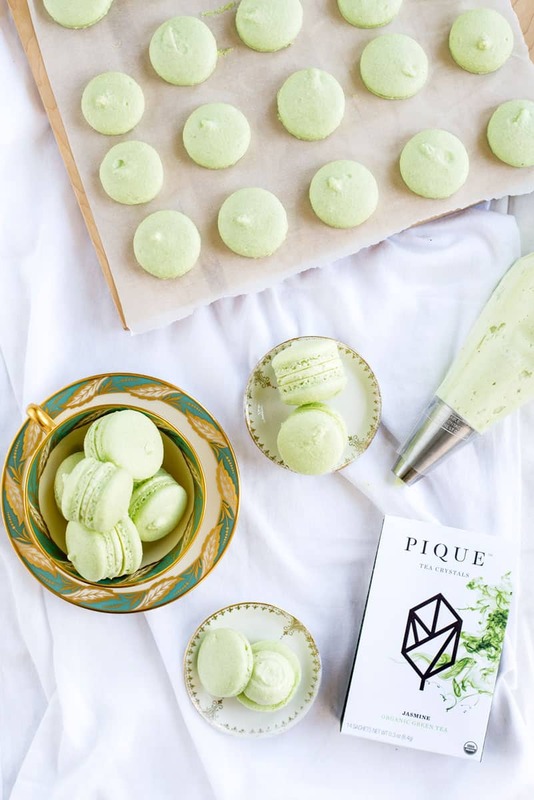 Perfect green tea french macarons. They are filled with a fool proof green tea buttercream frosting made with dissolvable green tea. So easy it should be illegal! The perfect french macaron is so elusive. Honestly, I’ve made dozens of batches and even took a macaron class and still couldn’t get them to turn out perfectly! They were either cracked, or didn’t have feet (that perfect little less smooth part on the edge). It makes me appreciate why it often costs several dollars per macaron when you buy them in stores. Ironically, one of my most popular blog recipes is for french macarons. These splatter painted french macarons have been pinned almost 10,000 times and bring a steady stream of traffic here to A Side of Sweet. If you look closely though, there is not a foot (feet?) to be found. The are completely flat. It’s frustrating. While scouring the internet for macaron troubleshooting advice, it hit me – the one thing I hadn’t tried was adjusting my oven temperature. For this batch, I did them at 290° F, instead of 300°. It was a magical moment taking these babies out of the oven. Look how perfectly they turned out! It’s amazing how something so small can have such a big impact. You know what else is elusive? A truly green tea-flavored dessert. 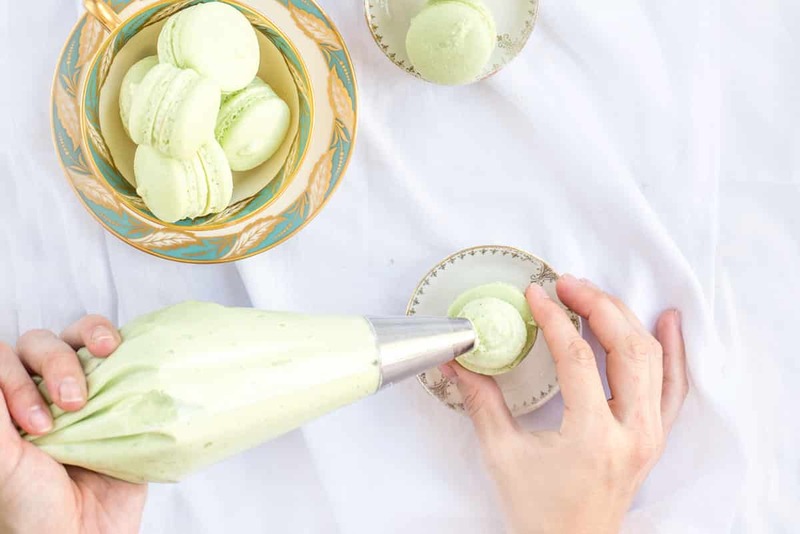 Typically to get green tea flavoring, you have to use matcha powder, or hassle with trying to infuse whatever you are cooking with brewed green tea. I love matcha, but the taste is really different from actual green tea. Infusing desserts with brewed green tea usually leaves the flavor lacking, or worse, super bitter. It’s like the people behind Pique Tea were hearing my struggles! Even though they invented their unique tea crystals to help you brew the perfect cup of tea every time, they have also turned out to be a baker’s best friend. Pique Tea is perfectly portioned into little packets. All you have to do is add water. No worrying about over-steeping or water temperature. It’s a cup of green tea that tastes perfect every time, whether you are at home or on the go. I used their jasmine green tea in this buttercream recipe and it could not have been easier. I just added the tea crystals directly to the buttercream. No extra steps. You’re left with a beautiful, fragrant buttercream frosting that tastes exactly like green tea. It’s amazing. If you want to try Pique Tea for yourself, you can order on their website here. You can also find them at Whole Foods in Northern California. This basic buttercream frosting recipe is as easy as can be. You just whip up some butter, add powdered sugar and then add your flavoring. No cooking eggs or weighing ingredients required. It’s light and not too sugary. It also holds its shape well for layer cakes. You can easily adapt it into all sorts of flavors. Add crushed freeze-dried raspberries (I find these at Trader Joe’s), cocoa powder, or just use it plain. 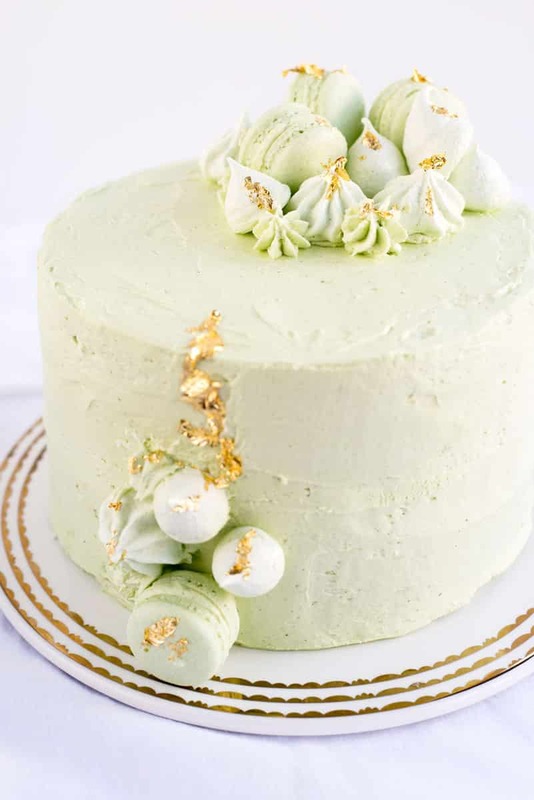 Oh, and I used these perfect macarons and this heavenly green tea buttercream to decorate a cake! I can’t believe how beautifully it turned out. I can’t wait to share it all with you in an upcoming blog post. 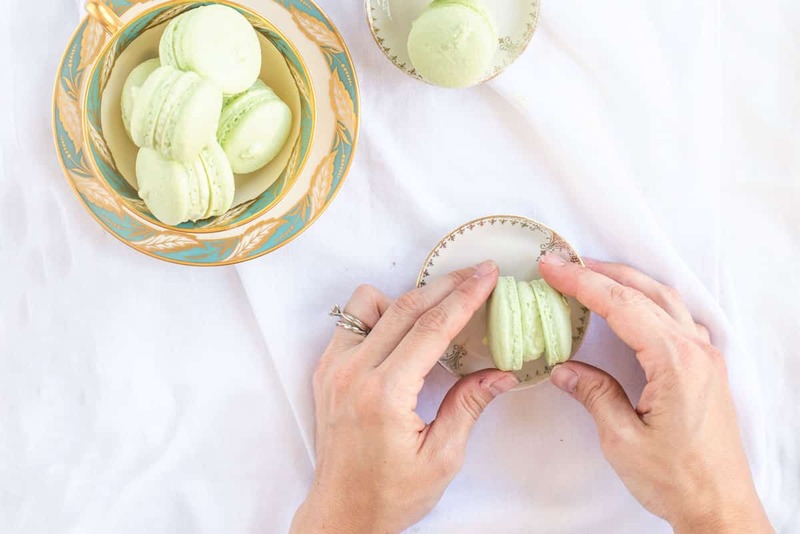 Perfect green tea french macarons. They are filled with a foolproof green tea buttercream frosting that is so easy it should be illegal! 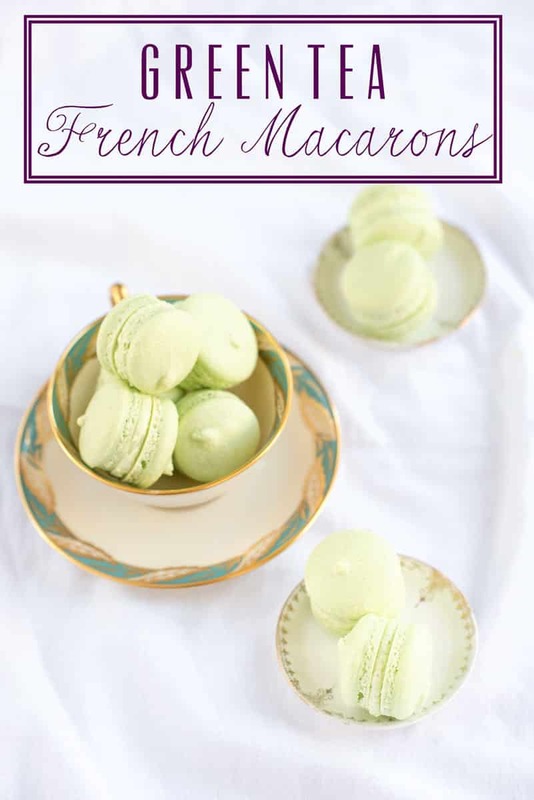 Make french macaron shells using your favorite recipe. I used this recipe. Beat butter on high for 2-3 minutes until pale and creamy. Add powdered sugar and beat until smooth. Add cream, vanilla, green tea powder, and a tiny bit of green gel food coloring and beat until smooth. Fit your piping bags with a large round piping tip. Pipe a dollop of green tea buttercream on to one macaron shell. Gently cover with another macaron shell. This post was sponsored by Pique Tea, a brand I love and trust. Thanks for supporting the sponsors that allow me to bring you beautiful content! 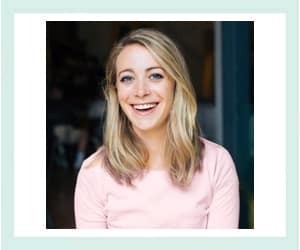 Wondering why I do sponsored posts? Read here. Wow these are stunning and perfection! I remember in Taiwan they were obsessed with Macaroons and my friend went crazy over them and bought so so so many! haha! I’m also obsessed! Now that I’ve had a batch turn out so beautifully I want to make them all the time! Oh, WOW! You’re right, they SHOULD be illegal, they’re so pretty. (I don’ t know about easy) A-ma-zing! You’re so sweet! The shells definitely aren’t easy, but this buttercream is and it’s great on everything! I tried to fill out the sample form but it says their out.